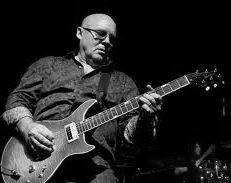 Rock guitarist Ronnie Montrose, who formed the band that bore his name and performed with some of rock's heavy hitters, has died at 64. In addition to forming his own band in 1973, Montrose performed with a number of rockers, including Sammy Hagar, Herbie Hancock, Van Morrison, Boz Scaggs and the Edgar Winter Group. Douglas says Montrose was working on releasing a DVD and starting a tour that would have taken him across the U.S.